A well-designed at home oral care routine is the foundation for a healthy and beautiful smile, and it all begins with the right toothbrush. 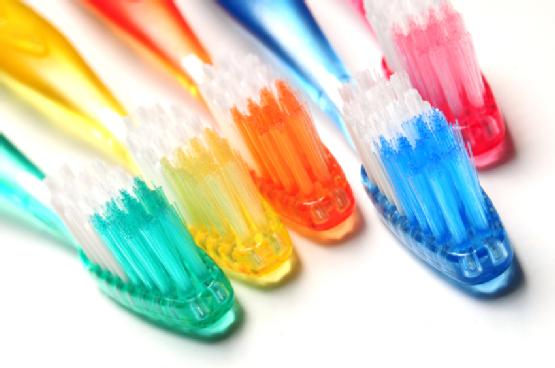 While there is no single type of toothbrush that is best for every person, there are some basic guidelines that can help you make the right purchase for your needs. Here are some of the things you should consider when you are replacing your existing toothbrush. Electric toothbrushes have become incredibly popular over the past several years, and they can help you establish an excellent cleaning routine for your teeth. Many electric toothbrushes have built-in timers to ensure that you are brushing long enough, and they do the scrubbing for you so that you do not develop the habit of abrasive brushing. Once you make the initial investment in an electric toothbrush, they are affordable to maintain with replaceable brush heads. Whether you select a manual or electric model, you will find that toothbrushes come in all shapes and sizes. It is important to find one with a brush head that will fit comfortably into the tighter corners of your mouth and reach your back molars. Otherwise, you could be letting plaque and food particles eat away at the enamel of your teeth in these areas. Toothbrushes come with bristles rated from extra soft to hard, but you should avoid medium and hard bristles when you purchase a toothbrush. You might think that stiffer bristles would actually clean your teeth better, but they are too abrasive and cause damage to the tooth enamel. At Park 56 Dental , we can help you design an oral hygiene routine that is perfect for your unique needs. Call us today at (212) 826-2322 or visit our website to schedule your first consultation at our sophisticated NYC practice. We offer general and cosmetic dental care with distinctive services, including Invisalign and Zoom! Whitening. Dental emergencies can happen at any time to anyone. Pain in your mouth should be taken seriously, as dental problems seldom get better on their own and can quickly worsen. Common dental emergencies such as severe toothaches, broken teeth, and knocked-out teeth require the immediate attention of an emergency dentist. Often, there is an underlying cause to blame for a dental emergency, such as severe decay or infection. In these cases, you should visit the top dentists in New York City at Park 56 Dental to find out if you need a root canal or even a tooth extraction. With today’s sedation dentistry techniques and help from the best dentists, you’ll be able to have the work completed without any fear, anxiety, or discomfort. Check out this infographic to learn how to handle dental emergencies on your way to the emergency dentist. Please share with your friends and family! If you are in search of cosmetic treatments that can take the years off of your face, you might explore cosmetic dentistry procedures to enhance your smile. This video offers an overview of some popular treatments that you might select as part of your smile makeover . The most common problems to address in aging smiles are old or broken restorations, yellowing teeth, and damage caused by tooth decay. With single-visit treatments such as veneers or tooth whitening, you can see a big change in the beauty of your smile. Call Park 56 Dental today at (212) 826-2322 to start planning your cosmetic smile treatment. Our NYC dental practice can offer you complete cosmetic and general dental care in a comfortable, welcoming environment with a skilled and diverse staff. If you have always thought that orthodontic care is just for kids, it may be time to ask your dentist about modern clear and comfortable options for the correction of malocclusions and poor spacing of the teeth. Today, more adults are choosing to reevaluate their candidacy for orthodontic solutions like Invisalign, which was designed specifically for adult smiles. 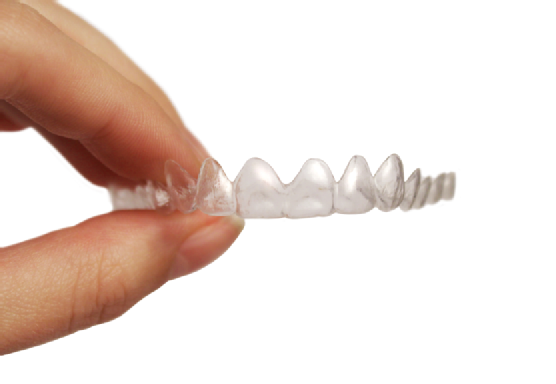 Here is a closer look at some of the reasons you should consider Invisalign at an older age. Problems such as underbite, overbite, and gapped teeth will continue to be a problem as you get older. In fact, these issues can actually get worse with age, causing ongoing difficulties in keeping your teeth and gums free of plaque and bacteria. Invisalign has transformed the world of adult orthodontics , because it provides effective treatment over a shorter timeline. The cost of Invisalign is comparable to conventional braces, but the Invisalign aligners offer many distinctive benefits over metal brackets and wires. They are almost completely invisible when you are wearing them, and they are far more comfortable than traditional braces. Plus, you can receive Invisalign treatment from your dentist instead of having to visit a specialist for your care. Cosmetic and restorative dentistry is particularly popular among older adults, because a straight, bright smile can take years off of your face. Once your Invisalign treatment is over, you might opt for a whitening treatment to give you a total smile makeover that will be worth showing off. To learn more about Invisalign and other state-of-the-art cosmetic dentistry procedures that can transform your smile at any age, visit Park 56 Dental in New York City. You can reach us for appointments by calling (212) 826-2322, or you can visit our website for a closer look at our services.